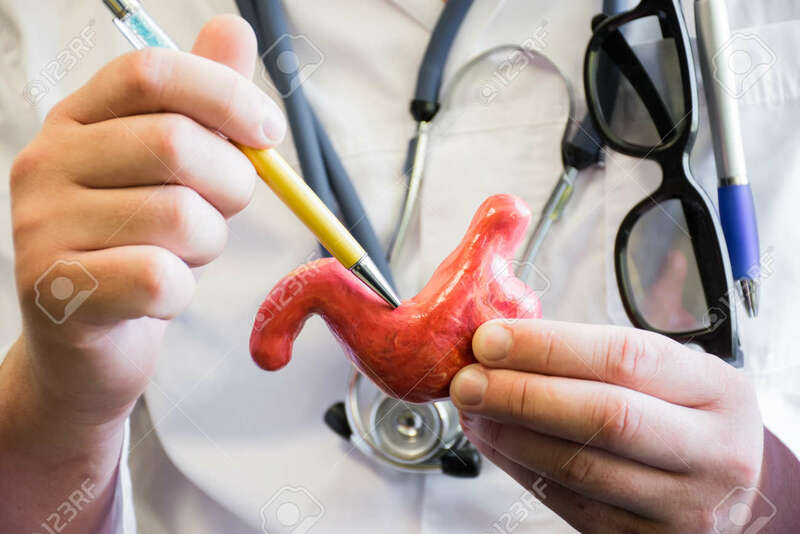 Doctor In White Medical Lab Coat With Stethoscope Around His Neck Indicates Small Curvature Of Stomach As Frequent Destination Of Gastric Ulcers. Concept Photo For Use As Teaching Subject For Patient Royalty Free Stok Fotoğraf, Resimler, Görseller Ve Stok Fotoğrafçılık. Image 92760361.